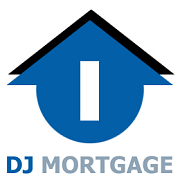 DJ Mortgage, LLC is a hard money lender working directly with real estate investors. As a direct lender based out of Atlanta, we offer many services which traditional institutions are unable to provide. We originate, review, underwrite, fund, and service our own loans. We do not need to search for private investors to fund your loan meaning we always have funds to close. This has allowed us to streamline our process and gives us the ability to fund on projects that meet our criteria within days. We work solely with real estate investors and have unique investor programs that are tailored to fit your needs as a real estate investor. If you need hard money financing, let our highly experienced team get your project funded and closed… on time. To answer questions or initiate a loan call Dean Tilman at (404) 814-1644 ext 101 or email at Dean.Tilman@DJMortgage.net.